Pick n Pay has many different types of consumers, but all are looking to make shopping, cooking and eating at home an easier and more affordable experience. Pick n Pay already fulfills this need with a wide variety of products at competitive prices and well-positioned stores, but what they needed was a content-driven, digital solution that assisted consumers with the daily grind of cooking for family, shopping for ingredients and the notoriously difficult challenge of planning what to cook. For Pick n Pay, the solution needed to be cost-effective, establish brand affinity and appeal to everyday people with families, while promoting Pick n Pay products, ranges, promotions and discounts. For the consumers, the solution needed to be user-friendly, easy to navigate, accessible, inspirational, and make shopping and cooking an easier, more affordable experience. 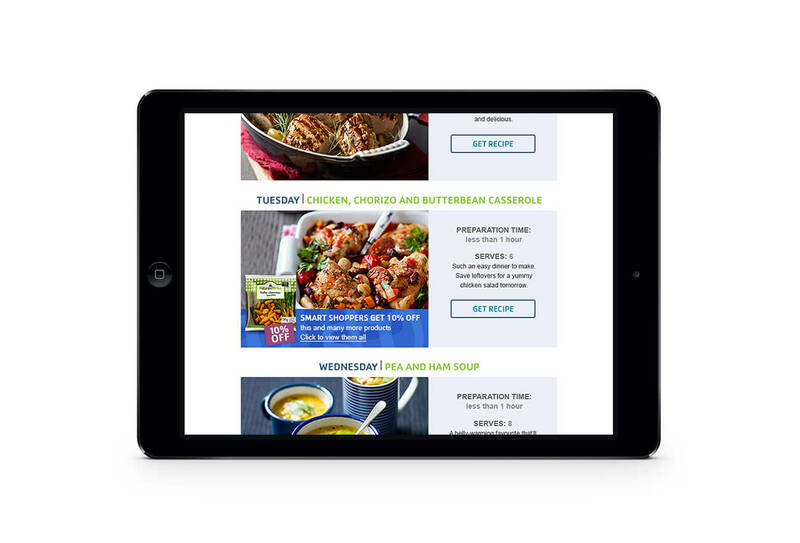 In 2014, John Brown Media proposed Supper Sorted, a weekly email sent out every Thursday morning to help people plan their weeknight dinners and make weekend shopping easy. The mailer contains five weeknight recipes that are family-friendly, can be prepared in less than one hour, and make use of affordable, easy-to-find ingredients. Links to recipes, a downloadable shopping list, non-invasive banners promoting deals and savings at Pick n Pay and a bonus dessert are included. For every email, five recipes and their accompanying images are drawn from existing Pick n Pay Fresh Living magazine content, and repackaged to suit the theme. Each recipe links to ingredients and step-by-step instructions on Pick n Pay’s website. Downloadable shopping lists can be obtained directly from the mailer in a PDF format. Tick-boxes make shopping in-store easier, but can also be used for easy reference while cooking. Today, Supper Sorted is one of Pick n Pay’s most successful mailers. Sent to more than 20 000 subscribers, Supper Sorted achieves an average gross open rate of 70% by an incredibly loyal database of opt-in only recipients. Banners promoting Pick n Pay convenience ranges, educational banners supporting new or seasonal produce, as well as Smart Shopper Instant Savings products highlighted on corresponding recipes provide wider campaign support, while maintaining content integrity. The mailer design is uncluttered and beautiful, thanks to the high-quality images from the pages of Fresh Living. The design is easy to navigate, with a limited amount of call to action to ensure recipients can find what they’re looking for without distraction, as well as responsive to cater to South Africa’s large percentage of mobile users. 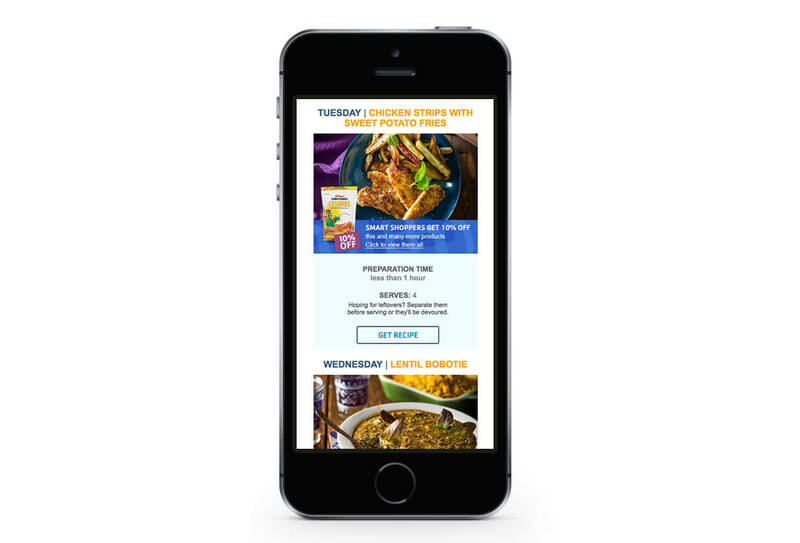 Because each recipe links to the Pick n Pay website, the weekly mailer drives traffic to the site and encourages further exploration. 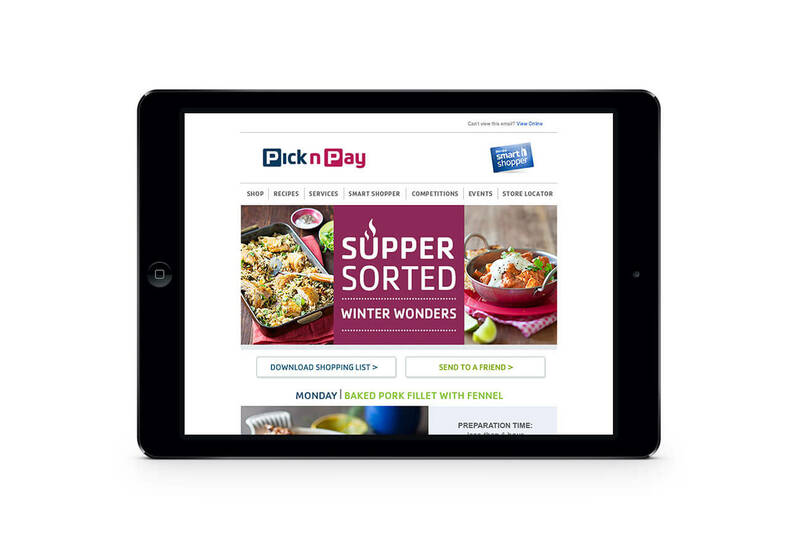 With an average click-through rate of 32%, Supper Sorted delivers over 25 000 extra visits to Picknpay.co.za every month. 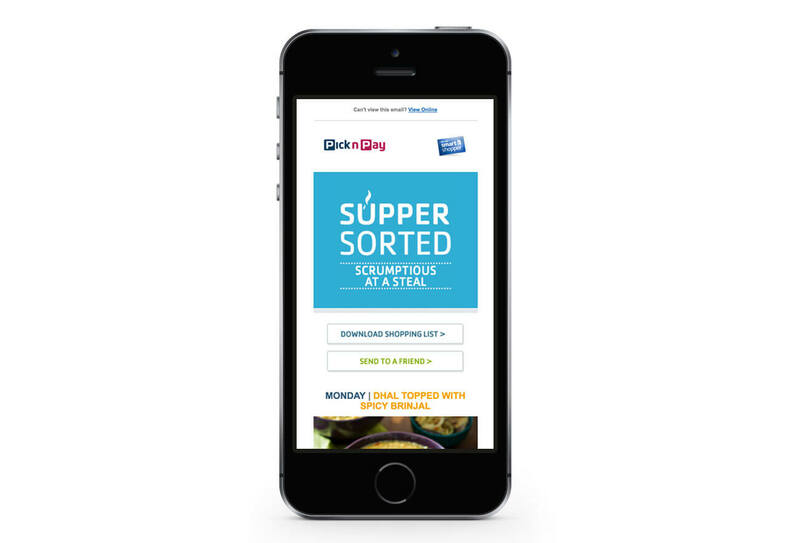 Supper Sorted is a simple but elegant solution that leverages existing content to help make peoples’ lives easier, while creating a weekly form of engagement with loyal customers, driving brand affinity and increasing brand loyalty with Pick n Pay.